Our olive range covers varieties from across the traditional Mediterranean olive growing nations - Greece, Italy, Spain and France. 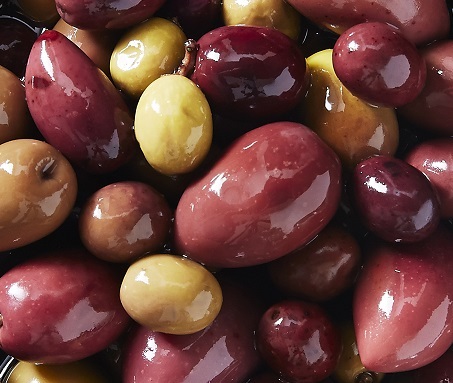 However, 100% percent of our olives are Australian grown. Kalamata - Mount Zero Organic Kalamata's are medium/large in size and picked black. They are firm in flesh, with a rich olive flavour. Kalamata olives are the classic table olive variety and are also fantastic in salads. Brine curing leaves these olives a dark burgundy colour and ensures the characteristic fruitiness of the Kalamata is preserved. Wild - When much of Western Victoria (the Mount Zero Grove) and parts of South Australia were planted 50 to 100 years ago, it was largely with grafted trees. Over time, as some groves have been allowed to go “wild” and trees have self sown, the original root stock has grown through producing an olive like no other - small tear drop shaped fruit, with a subtle rosewater flavour! 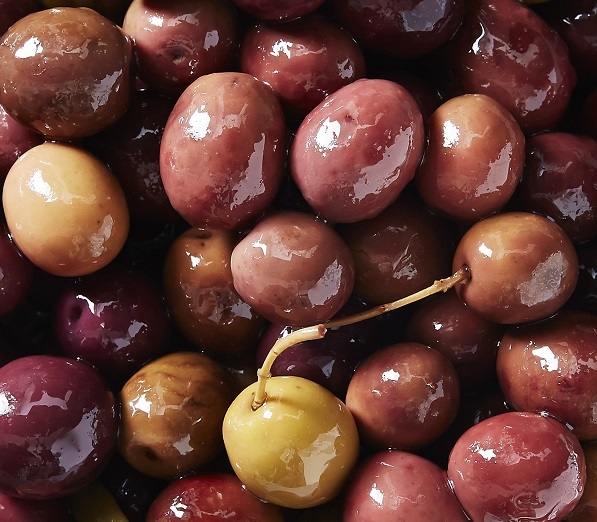 Mixed - A mix of the best seasonal olives at Mount Zero. Always containing Kalamata and Wild olives, this mix may also contain Blonde Kalamata, Arbequina, Manzanilla and Ligurian olives (depending on availability). The variation in size, shape, colour and flavour within this mix presents beautifully and offers something for everyone. Manzanilla - Manzanilla olives make up the bulk of the olives grown at the Mount Zero Farm and also feature heavily in our oil production. Manzanilla (meaning small apple in Spanish) helps to describe the uniquely round shape of this variety. Manzanilla's are an extremely fleshy olive with a relatively small pip. They make a great table olive, as well as being very simple to pip and use on pizza, pasta and salads. 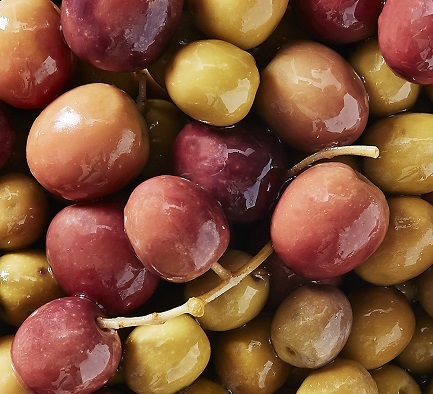 Ligurian - Colour variation is a major characteristic of Ligurian olives, this is due to the time of picking. Ligurians are at their best just as they are turning from green to black, so are harvested in this small window. 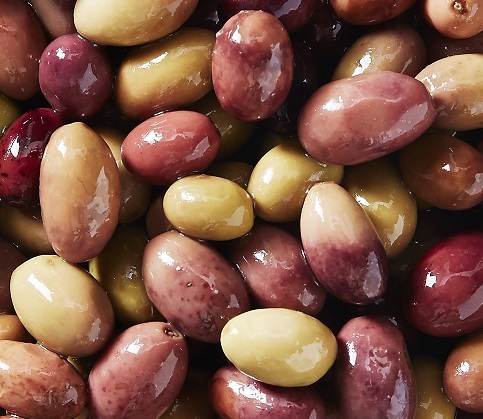 Ligurian olives are small with firm flesh and with a citrus rbaceous and nutty flavour. 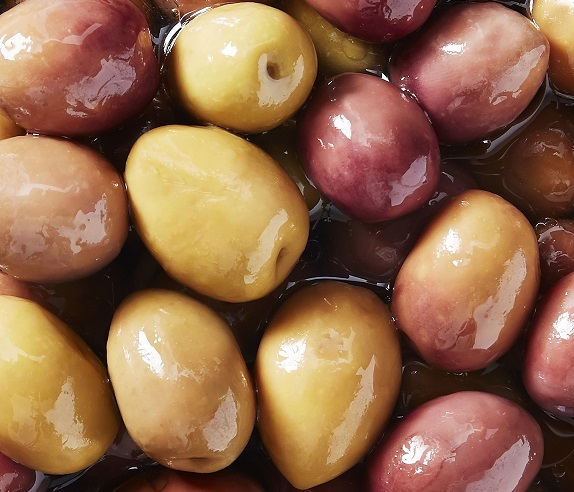 Blonde Kalamata - As the name suggests, these olives originate from Kalamata in Greece. 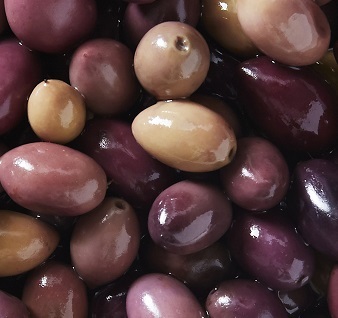 They are however a distinctly different variety to regular Kalamata olives. 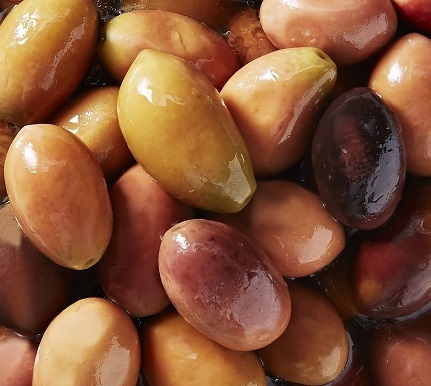 Blonde Kalamata olives are one of the largest olives available. Strong in flavour and texture, they are a favourite among our restaurant customers. An extremely impressive table olive! 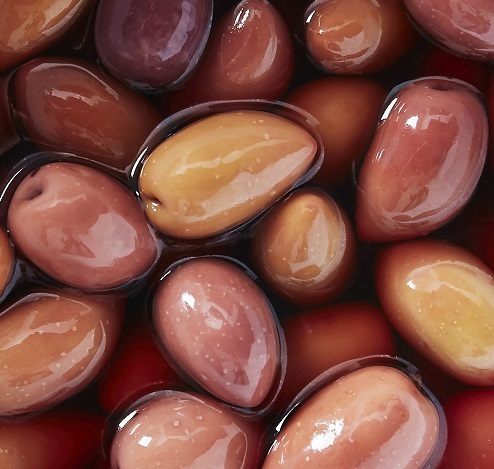 Arbequina - Originally a Spanish variety, Arbequina olives seem particularly well suited to Australian growing conditions. Well known for their lovely buttery flavour, Arbequinas have a crisp texture and slightly peppery finish. A fantastic table olive and great garnish to salads and platters. Gordal - Our Grampians grown, green Gordal Olives are naturally fermented in brine maintaining a depth of flavour true to the fruit itself. Gordal means "fat one" in Spanish and and true to name, these large plump olives a firm bite and distinct bitterness they are an ideal table olive to be enjoyed with summer white, sparkling wines or better yet your martini.